Catherine Auman's distinguished career in psychology has included working in virtually all aspects of mental heath: private practice, psychiatric hospitals, chemical dependency treatment centers, residential treatment, and consulting nationally with mental health facilities. She was previously Director of Behavioral Health Services at Glendale Memorial Hospital, Redlands Community Hospital, and the Alpha Recovery Center. She taught psychology and counseling at JFK University, the University of Phoenix, and The Chicago School for Professional Psychology. Catherine received her M.A. in Psychology from Antioch University in 1983, her license as a Marriage and Family Therapist in 1993 (30784), and she is a Certified NLP Practitioner. In 2011, she was elected by her peers to the State Board of her professional organization CAMFT. Catherine has frequently appeared as a mental health expert on the national TV show Extra. Her writings have been published in journals, magazines, and books in the US, Finland, and Norway. She has a BA in Literature and a Certificate in Creative Writing from Berkeley City College. Catherine began her search early. During childhood and adolescence she read widely in mythology, literature and philosophy. She began studying meditation and yoga in 1972, astrology in 1980, and entered a graduate Transpersonal (spiritual) Psychology program in 1983. 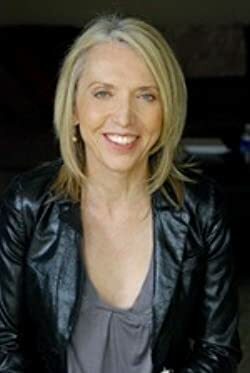 Along the way she has explored a wide variety of spiritual and personal growth paths including Eastern religions, Ken Wilber's Integral theory, 12-step programs, entheogens, massage and bodywork. She became a sanyassin of Osho in 1985 and was given the name Ma Dhyan Shaida ("intoxicated with love"). Catherine lived in India at the Osho Commune in 1999-2000 where she studied tantra and meditation. She has had the great fortune to sit with many Awakened Beings including Gangaji, Eli Jaxon-bear, John de Ruiter, and others. Please enter your email address and click the Follow button to follow Catherine Auman LMFT!